The first Italy-ASEAN Week, a programme to popularise culture and enhance the friendship between Italy and the ASEAN countries, opened in Hanoi on November 18. The first activity of the week was an Italian culture fair held at Ly Thai To Park. At the event, an Italian style square was created, allowing visitors to experience the cuisine and wine, alongside the latest fashion designs from the European nation. The week through December 4 will also feature a music show performed by Italian band Amici and students of the Hanoi University, a programme introducing the Renaissance culture, an exhibition of Laura Federici’s paintings, and a film screening. At the opening ceremony, Chairman of the Hanoi People’s Committee Nguyen Duc Chung said that Hanoi, as well as Vietnam in general, always wants to be a friend and partner of all of the countries around the world, including Italy. Through the Italy-ASEAN Week, Hanoians and foreign tourists will be able to experience the Italian culture and gain an insight into the country’s history and people. 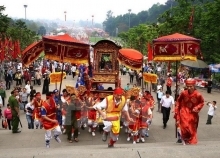 The week is a practical activity on the threshold of the 45th founding anniversary of Vietnam-Italy diplomatic relations in early 2018, he noted. 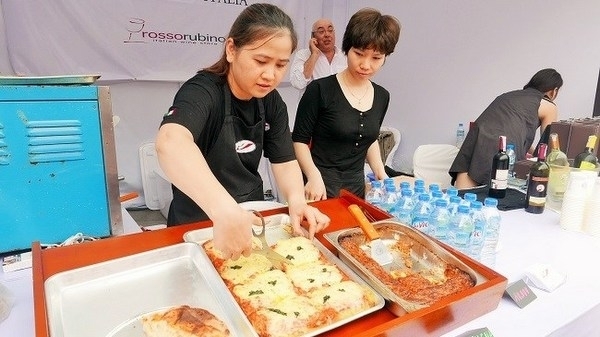 Italian Ambassador to Vietnam Cecilia Piccioni said that the activities popularising her country’s culture are being held concurrently in the capital cities of seven ASEAN countries with a view to promoting diplomatic ties and introducing the characteristics of Italy’s culture, country and people to the ASEAN nations.